The Members’ Lodge at Steelwood is part of the beautiful Steelwood Country Club community. We are cozily tucked away in the unspoiled woodlands of South Alabama’s countryside. Steelwood Resort is a secluded 1500-acre getaway with 200 lakefront acres, a private club and residential community. We want your stay at The Members’ Lodge at Steelwood to be relaxing and memorable and the escape you’re hoping for. There’s a lot to do and we don’t want you to miss a thing. In order to help us plan your overnight stay or event, you can call us directly at (334) 481-0222 or email us and we’ll be happy to help. If you’re just looking for a place to get away from the noise of everyday life, we’re a great spot. You can go for a walk, go fishing or hunting, play golf or just nap by the water. Everybody relaxes a little differently. So, what are looking for? Do you want to get everyone away from the office for team building, training, brainstorming… a little golf, relaxation? We have 12 private rooms with a sleeping capacity of 32 as well as meeting areas. Birthday Parties, Weddings and Receptions, Family Reunions – we want to help you celebrate your family’s special events. The staff at Steelwood can help you plan for any sized gathering or overnight stay. 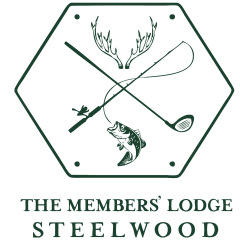 © 2019 The Members' Lodge at Steelwood, Powered by Web and New Media.